1 new rural ambient sound added to array. Also silenced volume of some rural ambience in interior view. 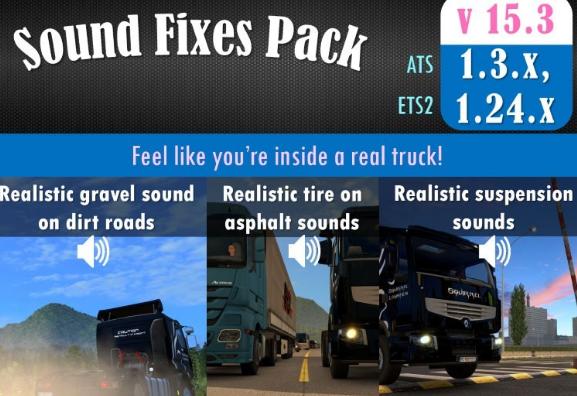 Cleaner audio for various mover sounds. 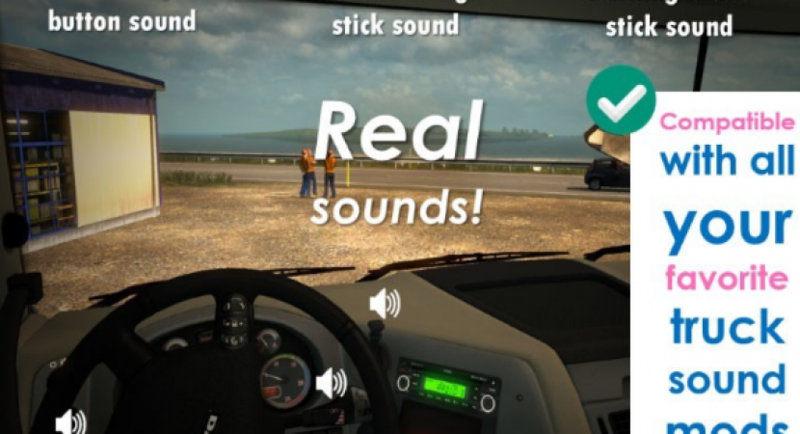 Louder exterior gravel sound for external camera view now available. 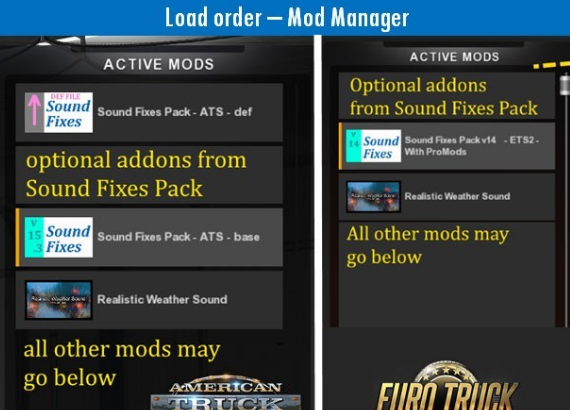 Fixed police siren optional addon for ATS. 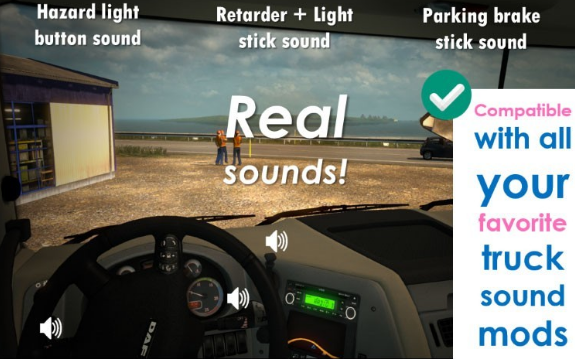 Now police sirens will only activate when you pass maximum legal truck speed limit (136km/h).